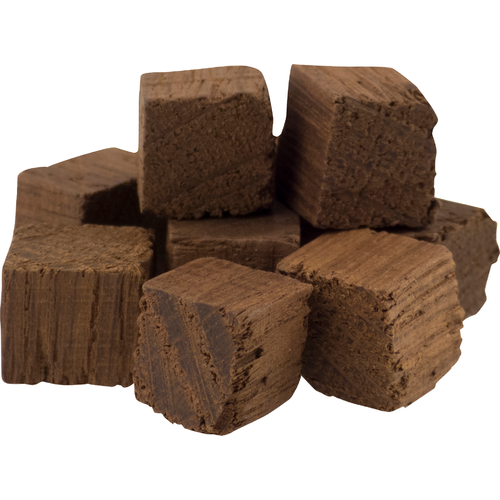 Oak cubes approximately 1 cm square, made from seasoned French Oak and produced in the USA. Oak cubes take longer to impart their character to the wine than chips, but the flavor can be superior due to the higher volume of unexposed wood in the cube. 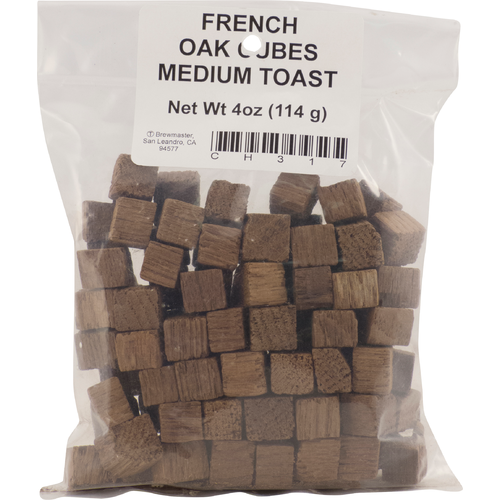 Medium toast is our most popular level and provides good oak flavor and character. Recommended usage is 2 oz to 4 oz per 5 gallons of wine.